Pen-y-holt farm was a working farm built in the 19th Century. It was converted in the late 1970s into individual properties. Many of the original features in both The Granary and The Byre have been retained yet with all modern conveniences. Pen-y-holt Farm is located at the end of the village of Castlemartin in Southern Pembrokeshire, just 8 miles from Pembroke town. 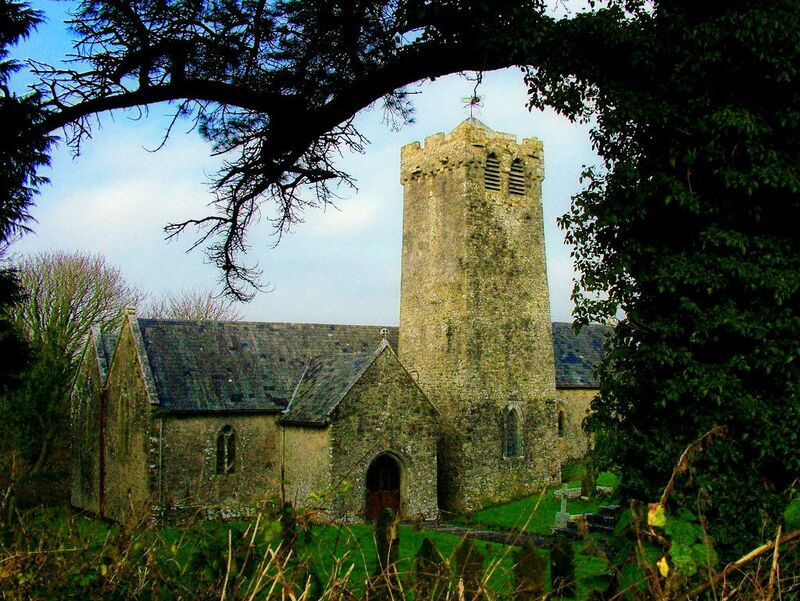 Castlemartin with a population of around 200 people has the 13th Century medieval Church of St Michael and All Angels which is definitely worth a visit, this can be seen in the picture below. Recently the villagers have opened a cafe in the village hall selling locally produced food and displaying work by local artists, it is normally open most weekends. The village hall benefited recently from a donation by Universal Pictures who filmed part of the Robin Hood film starring Russell Crowe and Cate Blanchett on Freshwater West beach. Harry Potter and the Deathly Hallows was also in part filmed on Freshwater West in 2009. The Granary and The Byre share a large open garden with views over farmland towards the sea. Each spacious cottages has their own private garden and patio area with garden furniture and BBQ. This is perfect for summer BBQs and alfresco dining. Dogs are welcome but not allowed on the shared large garden area. The local beach Freshwater West is roughly 1 mile away and has been voted one of Wales’ best Surfing Beaches, it was featured on BBC’s Coast recently. Barafundle Bay which is also close by is regularly voted as Britain’s best beach. The surrounding coastal area of Castlemartin has stunning scenery, for example the Stack Rocks, the Green Bridge of Wales, St Govan’s Chapel and the Bosherton Lily Ponds which all attract many visitors. There is also an abundance of wildlife in Pembrokeshire, from the seals and puffins on Skomer Island to the whales and dolphins which can be seen at Cardigan Bay. Pembrokeshire produces many varied fresh and delicious foods, for example Welsh cheeses, freshly caught fish and world renowned Welsh beef, just to name a few. Mott the butchers on Pembroke Main Street sell a variety of delicious homemade sausages. There is an excellent cheese shop & delicatessen in Narbeth with a restaurant at the back of the shop. Cafe Môr, the seafood mobile cafe at Freshwater West serve a variety of delicious Seashore wraps. They also use fresh seaweeds collected from Freshwater West. The award winning Coast Restaurant is situated on the beautiful beachside location of Coppet Hall near Saundersfoot. They use whenever possible locally sourced Pembrokeshire ingredients and also have a nice selection of cocktails. Wavecrest Cafe is now open at West Angle Bay it is the sister cafe to the award winning Quayside Cafe at Lawrenny.